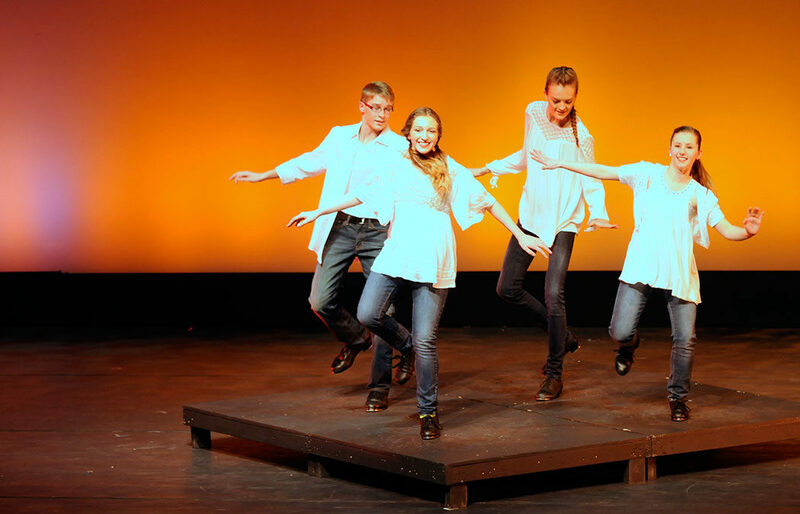 WINONA, Minn. — The public is invited to Classically Speaking, a Minnesota Conservatory for the Arts (MCA) Dance Repertory Company production Friday and Saturday, April 12 and 13, in the Page Theatre on the Winona Campus of Saint Mary’s University. This 46th annual spring concert will feature music of well-known classical composers, including Bach, Beethoven, Dvorak, Glazunov, Mozart, Tchaikovsky, and Schubert, in accompaniment with contemporary dance forms, including hip hop, rhythm tap, jazz, and modern. The Dance Repertory Company is MCA’s pre-professional dance troupe. The performance will feature 38 dancers from the area ages 11 to adult, including 15 Saint Mary’s students. The concert will feature five new and original choreographic works. Bryan Moore, Saint Mary’s alumnus and professional actor who has been featured in the national tour of “White Christmas,” came back to set a contemporary retelling of the Greek myth of Artemis and Orion timed perfectly and dramatically to music of Shubert. Choreographer Jessica Dienger creatively pieced together three unique dance styles — lyrical hip hip, jazz-funk, and west coast/krumping hip hop — to Beethoven music that has been infused with a contemporary beat. The rhythm tap piece choreographed by Christine Martin features the music of Mozart through recordings, live musicians on piano and violin, as well as 42 tap dancing feet. This piece explores the dynamics of a “tap orchestra” with a nod to Mr. Rogers. Raina Racki’s modern dance piece explores “the journey of self” in three sections set to a score by Dvorak, Tchaikovsky, and Glazunov. The audience will be awestruck by the beauty and power of the five dancers in this piece as they move as an ensemble and individually. The dancing during Classically Speaking is not just confined to the stage. MCA’s Director of Dance, Tammy Schmidt, is bringing contemporary ballet to life on the landing and stairs of the lobby in Page Theatre during intermission. The trio of dancers will be set in motion by live Bach music performed by MCA’s talented cello instructor, Rachael Ryan-Dalgren. Public performances will be held Friday, April 12, at 7:30 p.m. and Saturday, April 13, at 3 p.m. in the Page Theatre. Tickets are $5 for students and seniors and $10 for adults at the door or purchased online at pagetheatre.org.